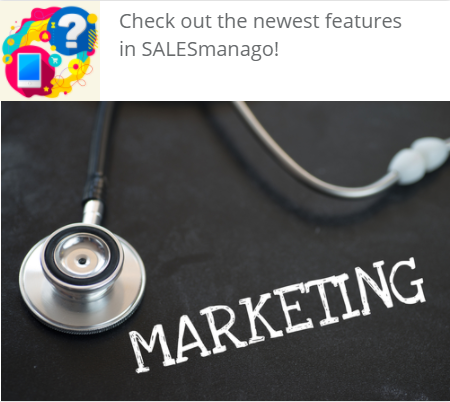 One of the basic goals of SALESmanago is to extend communication channels with prospects and existing customers in order to reach the biggest possible number of users with maximally personalized content. 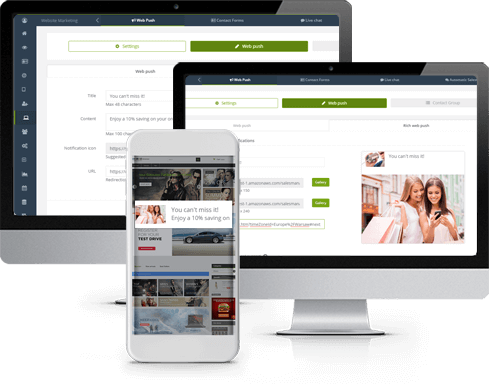 The Web Push and Rich Web Push notification solutions enable to conduct communication in a custom way, even with anonymous users. The notifications take form of short messages which can be sent directly on the user’s device without having any contact details. The most crucial condition is obtaining the user’s confirmation for receiving notifications. The standard version consists of a short text and a small icon. Whereas Rich Web Push appears on the screen as a big and colorful banner. 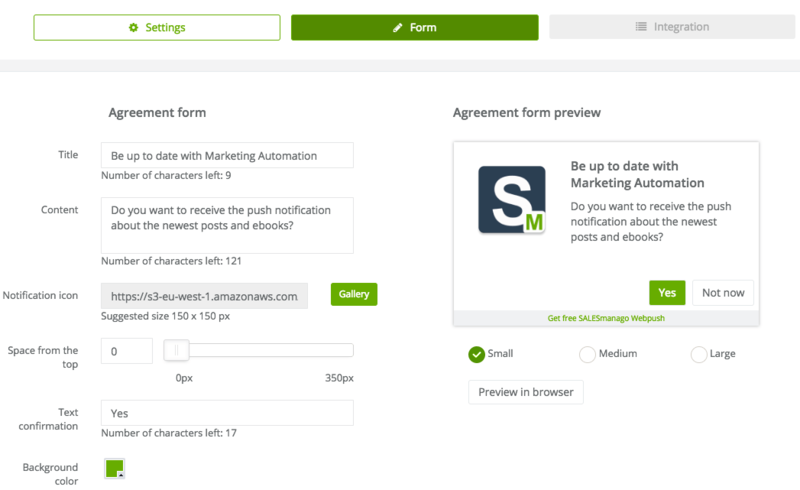 The time of sending a web push notification is quite flexible and SALESmanago enables to send the unlimited number of Web Push notification as well. The notification is displayed only when the user is using a browser in which the agreement form has been approved. A visitor needs to hit the “OK” button on the agreement form and on the browser’s window. 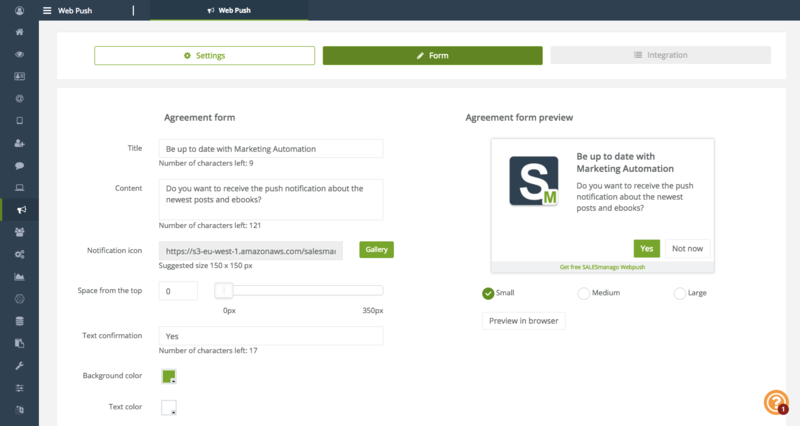 Because web push notifications are sent via a browser, the visitor has to confirm the agreement form which is sent via the browser. Otherwise, the visitor won’t receive any notification. If it’s a monitored contact, a defined tag will be automatically assigned which will allow for better segmentation of contacts database. If the contact does not approve such kind of notification, there is a possibility of sending such agreement form some other time, e.g. after a week or at the next visit of a given user to the website. The process of their creation is really simple. You shall use the 3-step creator. GO FURTHER: Web push and rich push notifications can be sent to all users or to individuals by means of automation processes (e.g. when a customer hasn’t visited a website for some time). Sent web pushes analytics enables to analyze the effectiveness of actions; this can be calculated basing on the number of sent, seen and clicked web push notifications.